Just a reminder that the Beatles got it right! 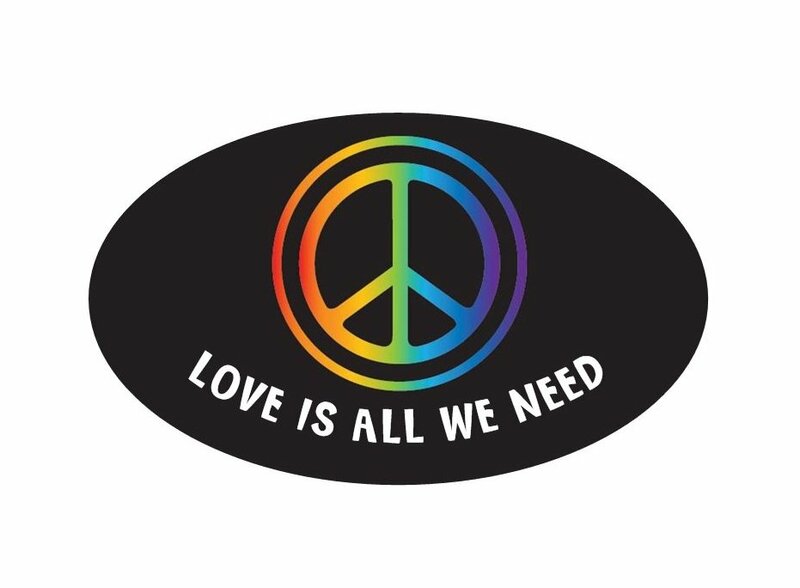 Features a rainbow colored peace symbol on a black background, this oval shaped sticker measures 5.00" x 3.00". Printed on self-sticking, vinyl material. Sticker thickness is 4.5 mil.